We operate a no–quibble returns policy and if you return an item within 30 days of receipt, we’ll give you back the amount you paid for the item (see postage and packing cost terms) or offer an exchange, whichever you prefer, no questions asked. Up to 6 months from receiving your item(s) we will repair or replace any item not meeting its expected lifespan, if we cannot repair or replace the item(s) you can get a refund. Additional period after the 6 months: We offer in addition to your statutory rights an extra 18 months repair or replacement, this excludes normal expected wear and tear and items purchased for commercial use or resale. When returning goods which you bought using a discount or offer, we will adjust the refund accordingly as that discount or offer may no longer apply. For faulty products: We will need details of the vehicle that your item was fitted to including: Date Fitted, Mileage when fitted, Date Removed, Mileage when removed, Vehicle Registration Number, Vehicle VIN Number and the description of the fault. We then send your item(s) to the manufacturers for claim verification, this can take up to three months but we will always be as quick as possible and in many cases if the fault is obvious we will authorise the claim without first referring to the manufacturer. Goods found to be faulty within 30 days of receipt of order will be treated as faulty new goods, you may return for full refund or replacement without quibble during this period, we will refund the cost of return to the same value that you paid to receive the items. In some circumstances we may be able to arrange collection. 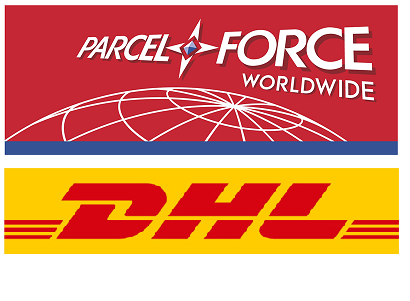 The returns process for international orders is the same as for our customers in the UK. For hygiene, safety and security reasons foodstuffs and personal grooming products cannot be returned. Please also note that goods that have been made to your specifications or personalised cannot be returned. We will not refund electronic items that have been fitted, unwrapped CDs, DVDs and computer software. Any items returned to us must be in their original condition – if they’re not, we may be unable to accept them.